Come enjoy Brewers Grade Band at the only place Where Country LIVES in Las Vegas! Brewer’s Grade Band continues to blaze their own trail bringing their unique brand of Northwest Country music to the next level. Band member Joe Smart’s recent Grammy win recognizing his work on the O’Connor Band’s “Coming Home” Album of the Year has led to some exciting opportunities to collaborate with music’s biggest names including Paul Simon and Zac Brown Band! This has helped build even more momentum for the group leading to the main stage at many of the west coast’s top festivals and events, genre-bending studio sessions and co-writes, an independent film soundtrack credit and more opportunities to create and collaborate in the Northwest, Nashville and beyond! 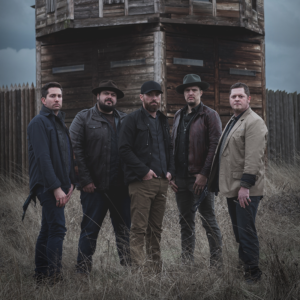 They continue to push the envelope and advance their role as one of the region’s most sought after independent artists all while staying true to their Northwest Country roots.